Most corporate apologies sound the same. They’re driven more by risk management than by empathy. That’s why genuine corporate apologies are so surprising, and powerful. Apple CEO Tim Cook’s apology for the Maps App last week was unusually good. Apple even went so far as to recommend alternatives from rivals Microsoft and Google. Honesty and accountability are disarming. Brands are judged most by what happens when things go wrong. Recently I received an apology from United Airlines that illustrates the typical corporate mindset. Their apology letter admitted nothing wrong, but offered a $150 travel voucher for my “inconveniences”. When I tried to use the travel voucher, it had an invalid code. After numerous phone calls, emails, and four weeks of waiting, I eventually received a new code, but it was for a $100 “replacement” voucher, $50 less than the apology voucher it replaced. Their apology was more frustrating than the original incident. Contrast United with this voucher apology from innocent drinks. 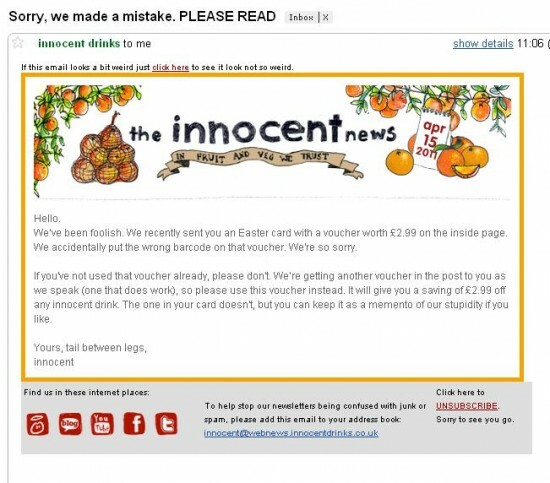 After sending a voucher with the wrong bar code, they send an uncommonly human apology, including this footnote, “you can keep it as a memento to our stupidity”. Had United followed shown some of that humility, they could have kept their travel voucher. How we deliver an apology can be more important than any discount. Just because a brand is part of a large company doesn’t mean it has to sound corporate. J&J made a wonderful apology recently with the “O.B. Triple Sorry”. 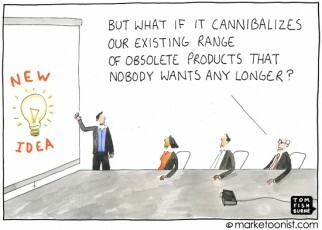 After discontinuing a popular product, O.B. brought it back. They then apologized with a personalized song that incorporated consumers’ actual names into the song (skywriters, tattoos, etc). A sample video is pasted below. Trend firm trendwatching.com coined the term “flawsome” to describe brands that are loved despite, or even because of, their flaws. Sounding “flawsome” trumps sounding perfectly corporate. ‘I have an apology to make. When you ordered recently, we promised you a free canvas shopper. I’m afraid when the bags arrived at our warehouse a few days ago it was clear that something had gone badly wrong. I’ll spare you the details as they involve mold, unsociable odours and colours not staying where they were told to. We’ve tried everything we can think of to sort this out, but to no avail. They are not up to scracth and we can’t send them out. The voucher is even good for a whole year against anything they sell. A class act. 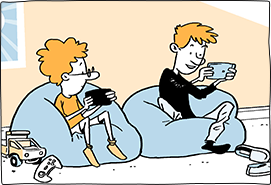 I truly enjoy all of your cartoons but this one hit home for me. I sent my mother in-law flowers from 1-800-flowers. She received a bouquet of dead/wilted flowers. I spent 3 hrs. 25 mins on the phone with various “managers” trying to get my mother in-law another bouquet. I was promised another bouquet before Mother’s Day. The flowers were delivered to my house (in NH) instead of hers in (FL). Then another bouquet was delivered after Mother’s Day when I was told it would be on that same day. All I received from the company was a lie, a promise and a $50 voucher for next time. As if there will be a next time. Back in the days when I was in the hospitality industry, it was called “service recovery.” My favorite thing about sincere apologies is that often, the customer actually backs off! “Well, it wasn’t THAT bad…” to which I would reply, “it was bad enough for you to comment and when you do, it’s an opportunity for us to fix something.” I always found (sincere) apology empowering and what true sales and marketing was/is all about. Absolutely amazed that more don’t “get” that, especially in the days when you are looking to separate yourself from the clutter and the pack. Songwriters know this it true. “Sorry Seems To Be The Hardest Word” – Elton John. “Hard For Me To Say I’m Sorry” – Chicago. 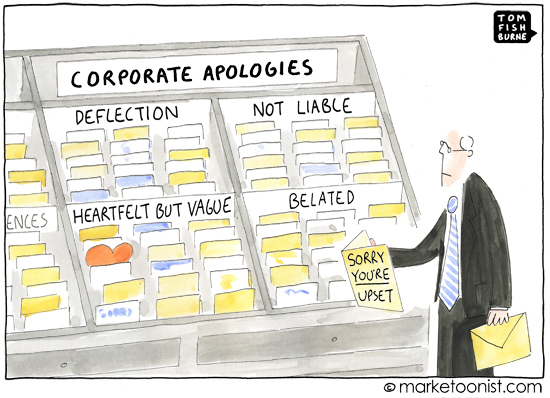 I think corporate apologies are driven by corporate lawyers. Admit guilt and you’ll get sued. Maybe that’s another song title! Companies should listen to their customers, not their lawyers. As with all apologies, they only help when they are heartfelt, which is sometimes harder than saying the words themselves. If companies can teach their employees that they need to mean what they say, they will have customers who believe what they hear and will return again one day. I’m glad you mentioned this. It’s a good reminder to allow yourself to be humble and not so uptight about mishaps. I believe even that some companies PURPOSELY make a calculated mishap just to cover it up. Let’s face it, we love a company or BRAND that publicly apologizes and gives something – they are remembered more. This is a good one to keep fresh in my mind – thanks Tom. Great points Tom, and I’m glad your entry today covered both “conventional” apologies and social media deployed techniques. 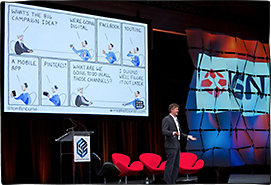 The online/brand/social media fused world is making for interesting dynamics in the world of brand/corporate aplogies – but we need to be careful to not neglect the conventional modes of interacting with our consumers and customers. Last year my babysitter tried by both phone and email to get an answer to a concern we had about something we feed to my son with no success. When I tweeted about that negative experience, I heard from the CMO and got an answer and some “gifts” of the full product range to try. So they were fabulous when called out in public – but missed the opportunity to be at least just good/acceptable when it was private. While technology and the web enables fun, cool, interesting moves (like the o.b. video apology), the vast majority of our customers that have less than ideal experiences contact us in “private” arenas (customer service center calls/email/letters). Yet somehow, the customer service professionals — front line soldiers really — hardly ever get the training, resources or empowerment to be as cool and saavy as these great positive examples of corporate apologies. What a shame – and a missed opportunity. I agree the Apple apology was very good but the best way to avoid issues is to not screw up in the first place. 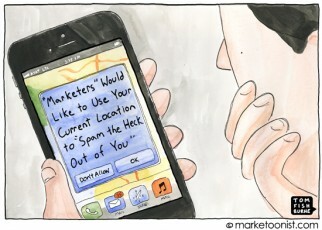 Apple wasn’t perfrect under Steve Jobs but I would doubt that the maps mistake would have been released under his watch. By striving for perfection, he was ultimately trying to make sure he did not let down the customers or the innovation they were bringing. Seems like the philosophy of making everything as good as it can be is being challenged at Apple. One mistake is forgiveable but hopefully this isn’t a trend. Not everyone can do something like this video – which I loved – but I agree that a sincere apology goes a long way. With the reach of social media today, it is more important than ever that we treat our customers with the same courtesy we would expect to receive personally. There should be a plan set up as to how the company will respond to various issues so that they aren’t scrambling at the last minute. 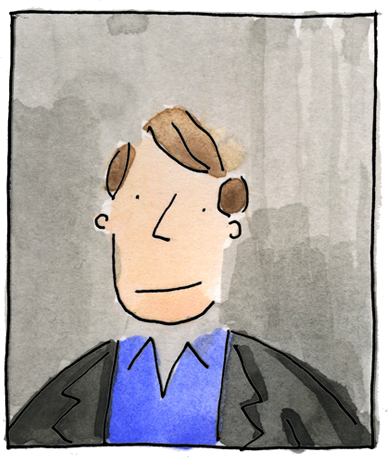 Long wait times are perceived by customers as not caring or hiding. Working in a corporate environment, I am really not surprised how stupid companies are when it comes to customer service and apologies. Customer service either goes a long way or fails miserably. When I received an “apology” letter from GoDaddy for their recent server outages, it offered a seven-day 30% off discount on my next *multiple disclaimer* purchase. I receive 15-30% off offers from GoDaddy at least 1-3 times a month, so I felt like this wasn’t really anything special and was only encouraging people to buy more of their products. Whenever other companies have outages, they may refund service for a set amount of time (Netflix), or offer a witty apology (like the O.B. video). I think, considering the reputation that GoDaddy has these days, they could have offered better customer service. But they aren’t really known for that in their regular operations, either! In many product/service categories, there’s a direct and positive correlation between a company’s ability to recover from a service problem and their ability to maintain and grow margins and share. Tiffany’s is a classic example of this. When a customer politely brings a problem to their attention, they will do what’s necessary to resolve it to the customer’s satisfaction. Now, some may point out that Tiffany’s is not the typical retailer, and they deal in a very high price point. Precisely. This was a great cartoon. I just wrote a post on my business blog about this very same issue. The way you handle a customer complaint or an upset customer can win the lifetime loyalty of even the most upset customer. The best thing to do is follow the steps in my post and leave the customer feeling happy that they are doing business with you at the end of the day. While I hate to be categorical, bad communications such as these come from the lawyers. Lawyers are paid to build walls around companies, to insulate them and protect them from liability. Good apologies can’t come from such an insular approach – they must come from the business leadership than can balance what the lawyers advise with what customer service, sales and marketing all advise. Great insights and examples from everyone, thanks! This week’s cartoon goes to Jennifer Nelson. I love how she clarifies the important distinction between “public” and “private” apologies. We have to excel at the private arenas, just as well as the public. The biggest opportunity in marketing is customer service.